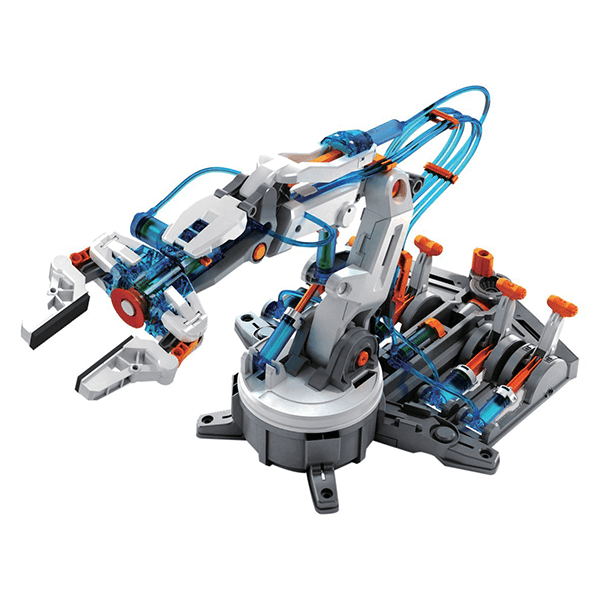 The Perfect STEM Experience Featured All in One Kit Take total command of a robotic arm using the science principles of a hydraulic system and its application with this challenging 229-piece DIY kit. Includes easy to follow instructions with detailed graphic illustrations. Features six axes of varied movements, an integrated braking system and unique suction apparatus. No batteries or motor required. It is powered by water! Once assembled, kit measures 12.7" x 9.5" x 16.3". For ages 10+ With Hydraulic Arm Edge, command six axes of varied movements: the gripper to open and close up to 1.89", wrist rotation of 180 degrees, wrist mobility of 98 degrees, elbow range of 44 degrees, base rotation of 270 degrees, and shoulder motion of 45 degrees. 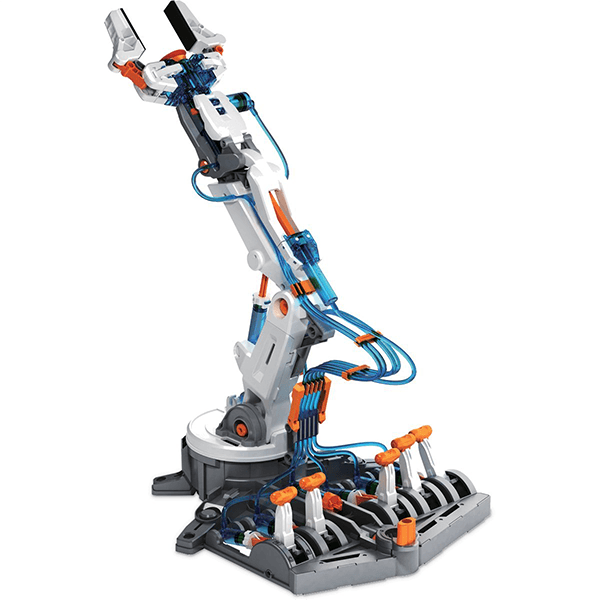 With a vertical reach of 16.35", horizontal reach of 12.42", and lifting capacity of 50g, your robotic friend is ready for your genius to erupt. With the removal of the gripper, you can activate the suction apparatus. This feature enables the user to elevate objects with a larger surface area (like a small mobile phone). Another prodigious attribution is a braking system that is integrated in the lever controllers to execute all commands accurately. If You Liked Bra Hydraulique, See More Related Products Below!